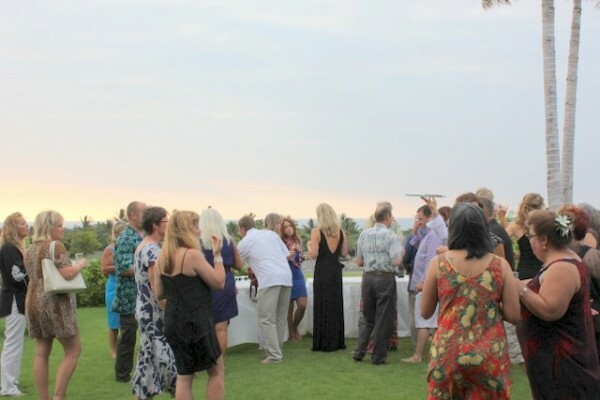 The chocolate and wine pairing last night at Hale Ku Mana was a huge success! It was truly a memorable and wonderful evening. Jacques prepared 10 different pairings of wines and chocolates (he even included a round of champagne!). Jacques explained each chocolate he served while the good folks at Kona Wine Mart explained the wines. Jacques described in detail why he paired each wine with a specific chocolate. For instance, he likes to contrast rich buttery chocolates with white dry wine, “I like to introduce one type of flavor and then take the mouth in a completely different direction withe the dryness of the wine.” The wines included reds and whites – there was even a pineapple wine from the Big Island’s own Volcano Winery. The setting for the soirée was beautiful. The food was excellent, as was the wine and chocolate, but the biggest delight of the evening was Jacques Torres himself and his lovely wife Hasty. There was no French snobbery or elitism sometimes found with celebrity chefs. Jacques was very down to earth and loved joking with guests throughout the evening. Hasty was warm and friendly – you got the sense that she really enjoyed learning about Hawaii and meeting everyone. Hasty, like everyone who toured the house, fell in love with the master bathroom. Jacques and Hasty are the kind of friendly, fun people that make a dinner party lively. Turns out Jacques is quite the charmer and story teller! There was a wonderful group of nine ladies who attended the event in celebration of their friend Karen’s birthday. By the end of the night Jacques, Hasty, the birthday girl, and her friends were sitting around the dining room table laughing and joking like old friends. 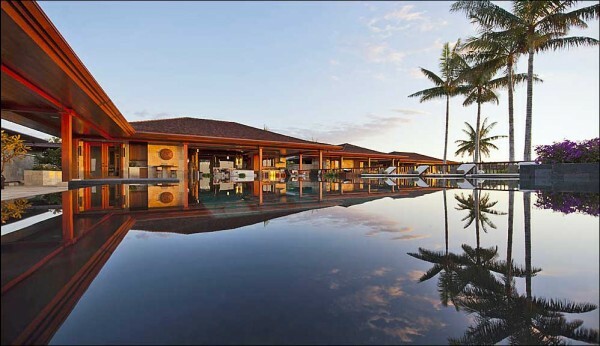 One of the aspects of Hale Ku Mana is that the property is so well suited for entertaining. Some folks milled on the back lawn, others sat poolside, others still sat in relaxing lounge chairs in the outdoor areas near each of the beautifully appointed bedrooms. As was mentioned more than once during the evening, every bedroom in the house is a master suite. The combination of the surroundings, the food, the chocolate, and the wine made the evening truly entertaining. Having the warm and gregarious Jacques Torres speak about chocolate and offering his yummy creations took the event to a whole new level. 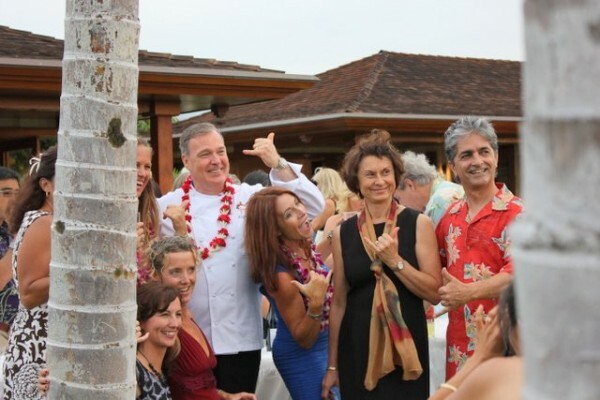 Let’s hope Jacques and Hasty return for next year’s Big Island Chocolate Festival! We’d love to see them at Hale Ku Mana again!